I spent the weekend in the country with some friends. And, on Saturday evening, supper was cooked for me, using some of the lovely fish that John at Delish fish sent me this week. 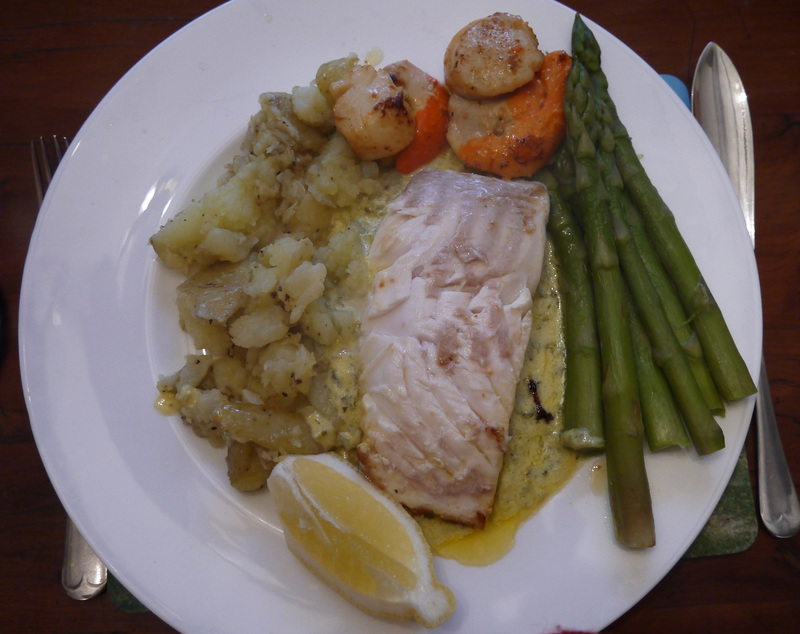 We had some halibut and scallops to try, and I found a lot of recipes that paired the two. Halibut is sometimes called poor man’s lobster because it’s quite a meaty white fish. We decided that the best option was to pan fry both in a mixture of butter and olive oil and make a sauce. Turn the halibut and add the scallops. 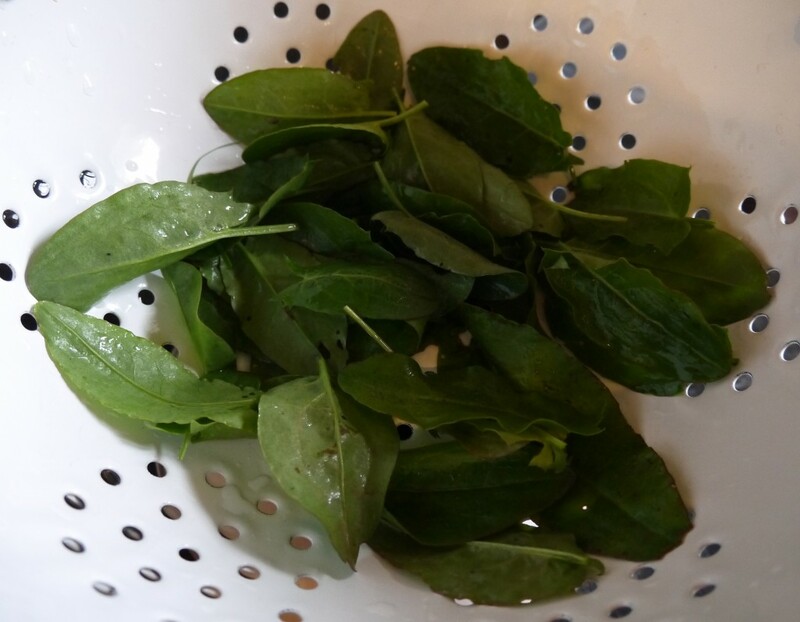 Oh I love the sound of wild sorrel and the leaves look much prettier than regular sorrel. Such a great meal and very satisfying when some of it has been sourced for free! Yes I agree…and this one would be easy to miss if you didn’t know what to look for!